Price: gratis € + Vat. 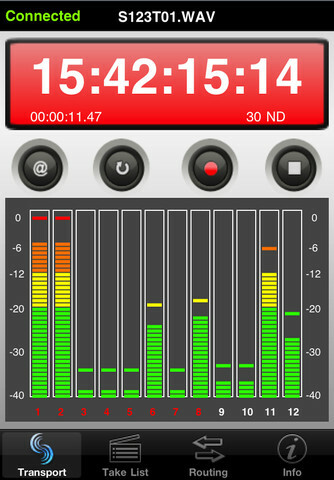 The CL-WiFi app is a wireless remote controller for the Sound Devices 788T 12-track recorder/mixer. It provides transport control, input routing, signal level and timecode display, and editing of a recording’s metadata. To enable remote control functionality, a CL-WIFI interface accessory must be connected to the 788T.